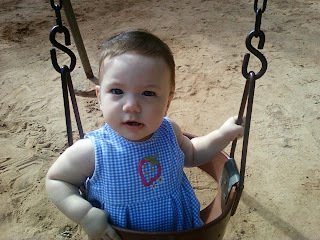 Liesel's first time in the swing at the park. She did like it. She just never smiles for the camera. Cute! 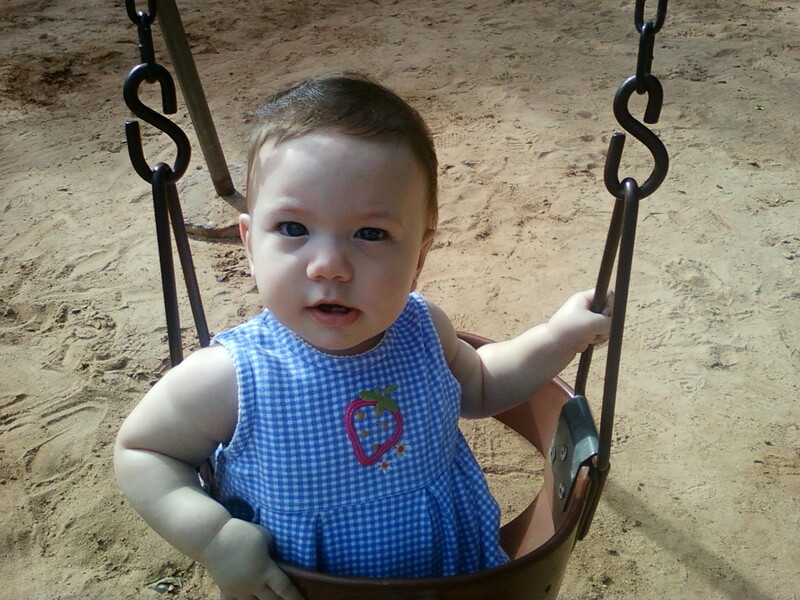 Even though she's not exactly smiling, she definitely looks happy!